Text: Getting kicked out of college was the best thing that has ever happened to me!!! The other secrets I’ve archived can be found here. Regular readers will recall that I am trying to collect all of the PostSecrets with an obvious Mormon theme or reference. Today’s batch of PostSecrets included another one. I’ve archived the photo, but I won’t display the image directly here on SingleSpeed because it would likely offend some of my LDS readers. The image shows a man and a woman wearing LDS temple garments, an article of clothing most Mormons consider too sacred to photograph – especially if that photograph is taken specifically to ridicule the practice of wearing garments (as is the case with this image). The image is probably the most widely distributed photograph of LDS temple garments (a google image search for the term “LDS garments” will return this same image a half-dozen time). 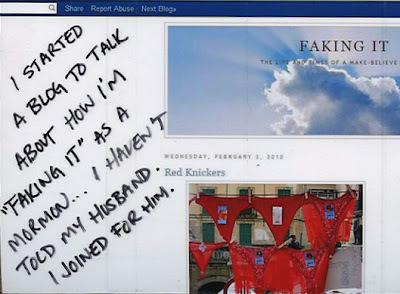 Click here to see the PostSecret image. 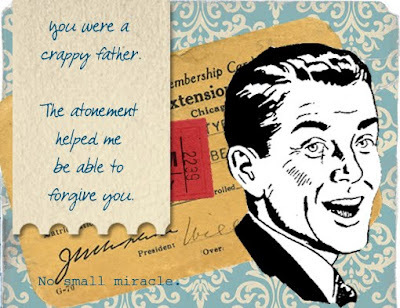 You can see the rest of the Mormon PostSecrets I’ve collected here. 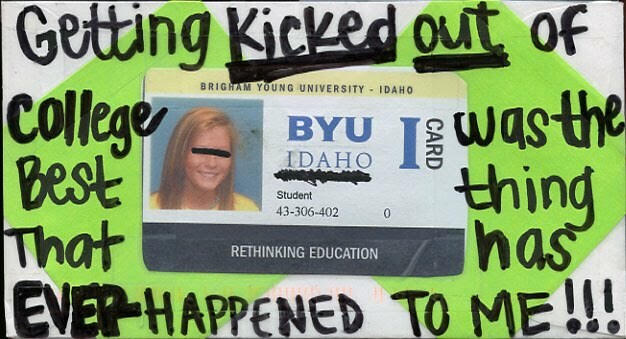 Other LDS and Mormon-themed PostSecrets can be found here. The author of this card’s blog can be found at http://makebelievemormon.blogspot.com. This secret is especially interesting to me. Feeling like you have to fake your religious beliefs, of course, is tragic. But choosing to belong to a religious tradition that you don’t necessarily feel passionate about for the sake of family unity shouldn’t be. What about Mormonsim makes some individuals feel like they need to fake being a full-believer rather than simply being involved in the church for cultural or social reasons? Does anyone else remember getting unofficial-yet-often-repeated advice from church leaders that if you don’t have a testimony you should fake it ’till you make it? 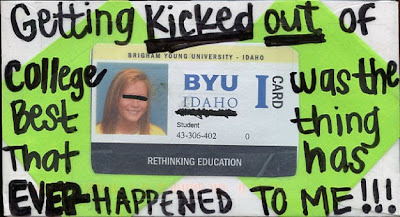 The rest of my LDS PostSecret collection can be found here. 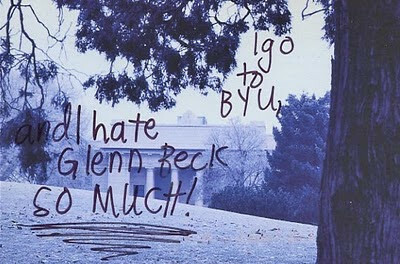 As always, if you know of any LDS-themed PostSecrets that aren’t in my collection, I’d appreciate it if you let me know. 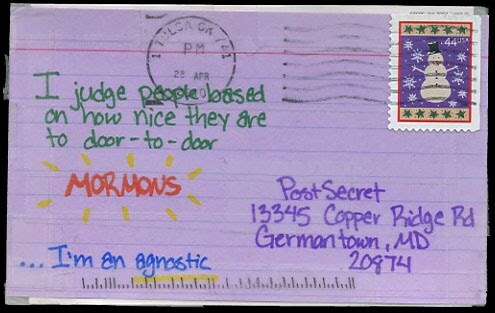 Regular readers will recall that I’m trying to collect all of the LDS-themed PostSecrets out there (click here to see what I’ve got so far, and let me know if you’ve got some I’ve missed). Postcard art isn’t a new concept. Neither is sharing hope. But we’re hoping this combination of the two will be as inspiring to you as it is to us and that the world will see that we are real people with real reasons for being members of the Church of Jesus Christ of Latter-day Saints. 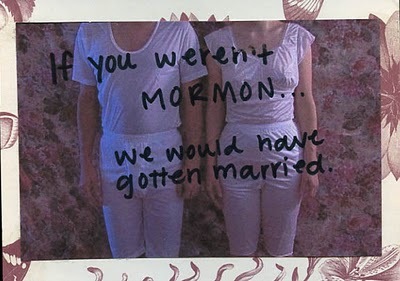 Previous Mormon-themed PostSecrets can be found here. If you have or know of any Mormon themed PostSecrets that aren’t in my collection, I’d appreciate you letting me know in the comments. 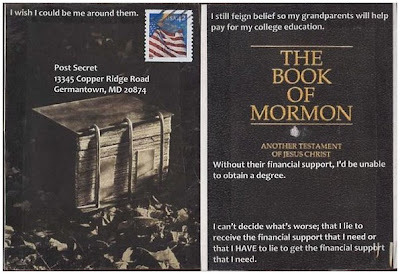 Regular readers will remember that I’m trying to archive all the PostSecret entries that explicitly reference Mormonism. Today’s post included another one for the archives. Other entries can be found here. If you know of any you’d like to add to the archives, please let me know. I also snapped a photo of one of the other secrets. I apologize for the poor photography (it was behind glass) but you can click on the photo to enlarge. 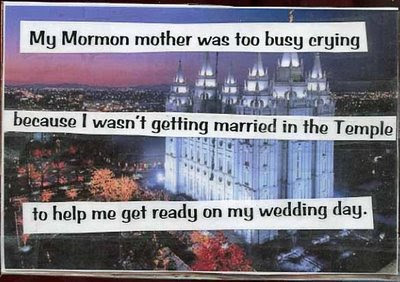 See my other LDS PostSecrets here.